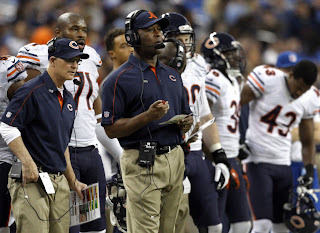 Did Lovie Smith deserve to be fired by the Bears? One of the biggest developments of the so-called "Black Monday" has been the firing of Lovie Smith by the Chicago Bears, in a move that did take some folks by surprise. Smith coached the Bears to one Super Bowl appearance, a loss to the Indianapolis Colts in 2007, two NFC Championship Game appearances and three playoff berths in nine seasons in the Windy City. Smith leaves town with an 81-63 record, easily the best with the club since Mike Ditka was fired after the 1992 campaign. Considering his relatively successful tenure with the Bears, did Smith ultimately deserve to get the axe? There is no question that the Bears came into the season with high expectations. Hell, I picked them before the season to get to the Super Bowl. And after a strong 7-1 start and sitting atop the NFC North, I actually felt somewhat confident in my preseason prediction for once. Alas, it was not to be as the Bears went 3-5 down the stretch and thanks to another porous offensive line, the consistently inconsistent Jay Cutler under center and the defense not being able to sustain their incredible run of defensive touchdowns early. And thus, Smith has been served his papers. Without question, Smith's tenure was relatively topsy-turvy. As I mentioned before, he did only make the playoffs three times in nine years and has only made the playoffs once since losing Super Bowl XLI almost seven years ago. Those years since the Super Bowl appearance were pretty mediocre, save for the NFC playoff run in 2010, as there were only three years above .500, but he also didn't win less than seven games in any of those years either. But it is important to note that Smith also won 11 games in a season where he had to start the legendary Chad Hutchinson and a rookie Kyle Orton and went to the Super Bowl a year later with Rex Grossman. Smith was hired for his defensive credentials and his defenses have been the clear strength of the club during his nine years in town. Like I said before, if you are getting to a Super Bowl with Rex Grossman, you clearly have a damn good defense. What has been the downfall for the team has been their offense, particularly their offensive line, which has not been good in years, and inconsistent quarterback play. And to be honest, is it really fair for Smith to be the fall guy when Cutler is usually all over the place and the line is awful? Of course, he is the coach of the whole team, and not the defense, but it also is not like the Bears have been awful either. Plus, every game the Bears have lost this season has been to a playoff team and had they gotten the benefit of some questionable offensive pass interference calls on Alshon Jeffery in the second Packers game, they probably would have been a playoff club. And had the Vikings lost yesterday, they would have been in. Ultimately, I do not think Smith deserved to be fired and should have been given another year. And apparently, Mike Ditka agrees. 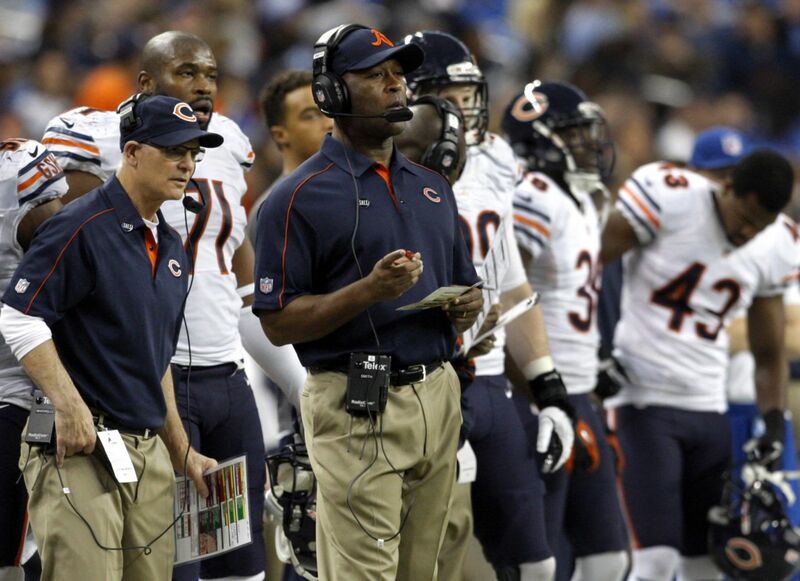 So who is next for the Bears for the head coaching position? Chicago has not had an offensive-oriented coach in twenty years and considering that inconsistencies on that side of the football, that's probably where they will target a new coach. As a friend of mine notes, Jon Gruden is a serious long shot so those expecting him to come to town should wisen up. Jay Glazer reported that the club has already seeked permission to speak to Broncos offensive coordinator Mike McCoy, who is one of the hottest candidates in the market. And while there are a bunch of clubs on the prowl after McCoy, the Bears may have the most attractive job of said teams. Should the Rooney Rule be abolished?